Just in time for the giving season is the launch of Gifts for Good: an innovative, millennial-driven, and socially conscious start-up whose mission is to disrupt the world of business gifting. As an agent of change for both large corporations and smaller companies alike, Gifts for Good’s digital platform is the only resource in the corporate gifting space that curates premium, posh, and purposeful gifts that give back, say the founders. Gone are the days of giving low quality stress balls and meaningless, branded paperweights. 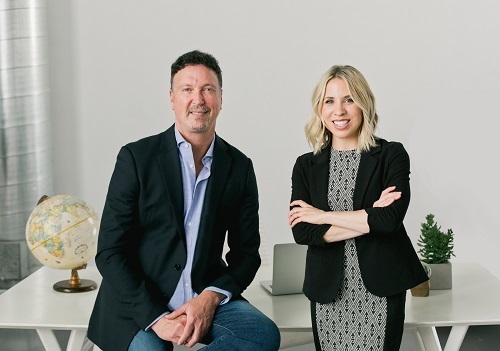 Founded by millennial entrepreneur Laura Hertz and veteran businessman Jerry Eisenberg, Los Angeles-based Gifts for Good aims to turn corporate gifting on its head through its online platform that curates and customizes high-end, meaningful gifts year-round. Today, the gifting market is estimated to be a $131 billion industry, representing around $1 in every $10 spent by Americans annually. Spending by corporations – just on promotional gifts/swag alone – represents 17 percent of the total gifting market, or $22 billion compared to $18 billion on corporate charitable giving each year. If every business purchased gifts that gave back – without spending any more money – companies could easily double their social impact. Be it for a promotion, holiday, conference, client thank-you gift, corporate retreat, retirement, birthday, or first-day-on-the-job, Gifts for Good has all your corporate gifting needs covered. The company provides everything from handmade candles, to luxe leather totes and unique wooden headphones, all of which support a wide range of nonprofits and charitable causes including: children-in-need, economic development, environment, homelessness, health, women-at-risk, and more. Currently, their gifts aid the work of over 40 nonprofits and social enterprises in 19 U.S. states and 65 countries around the globe. Thunderbird Throw helps a pet in need find a home, while providing economic opportunity for women in El Salvador. 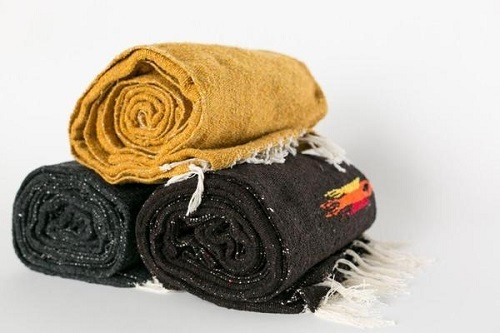 Take the Handwoven Thunderbird Throw. Proceeds of this blanket benefit the PetSmart Foundation which finds homes for more than 500,000 dogs and cats. Additionally, their emergency relief program has assisted more than 230,000 pets since 2007 by delivering much-needed supplies to save pets from man-made and natural disasters. Proceeds will also help women artisans in El Salvador who hand loom them to rise above poverty by providing them with a fair wage and a full time job. 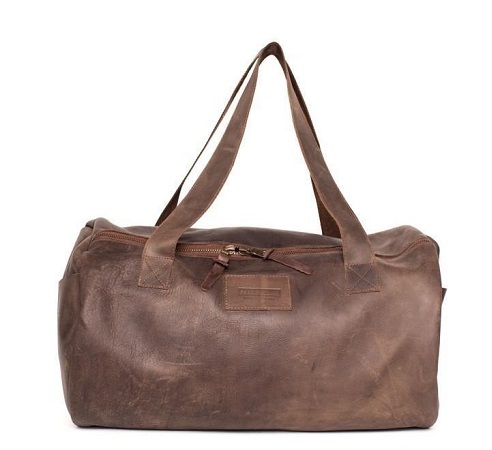 Or the Overnight Bag, a gift designed to help end extreme poverty in Ethiopia. Each Parker Clay leather good is crafted at a growing production factory in Ethiopia which follows fair trade principles and pays a premium wage of 87 percent over the average. In a few short years they have gone from employing one artisan to over 20 artisans, sourcing supplies directly from rural farmers and traditional tanneries. In addition to its official launch, Gifts for Good is also proud to announce that social enterprise expert Jenise Steverding has joined the company’s founding team as chief impact officer. Steverding previously served as an early member of the TOMS® Shoes Global Giving Program where she led the giving account team to scale their global shoe-giving platform from 1 million to 50 million pairs of shoes distributed through impactful nonprofit partnerships. She also has held senior positions at Pledgeling and the Special Olympics World Games. In her new role at Gifts for Good, Steverding will lead impact strategy and brand partnerships, ensuring all curated, premium products meet Gifts for Good’s company impact and product standards. “What attracted me to Gifts for Good was the fact that they are pioneering a new way for companies to enhance their corporate social responsibility programs by providing gifts that directly create measurable social impact. This will go a long way with the shift we are experiencing in the corporate landscape; millennials will make up 50 percent of the workforce by 2020, and 87 percent of them want to work with companies that give back,” stated Steverding. Customers looking to change the way they gift are encouraged to shop the company’s online platform organized by charitable cause, product category, gift recipient, or price. A large selection of premium products can be customized/branded to provide corporate gifting solutions with a personalized touch. Gifts for Good also offers businesses a complimentary gifting concierge service that will provide personal assistance with finding the perfect gift to drive both business outcomes and social responsibility simultaneously. Gifts for Good, founded in 2017, is a Los Angeles-based, online corporate gifting company that curates and customizes premium, posh, and purposeful gifts that give back. Co-founded by entrepreneurs Laura Hertz and Jerry Eisenberg, with the support of veteran social enterprise expert Jenise Steverding, Gifts for Good also offers companies of all sizes a complimentary gifting concierge service to help them facilitate high-end, meaningful gifting year-round. For more information: www.giftsforgood.com.